This block is Nick Fury from Avengers. You can find where I began this project with Ironman HERE. 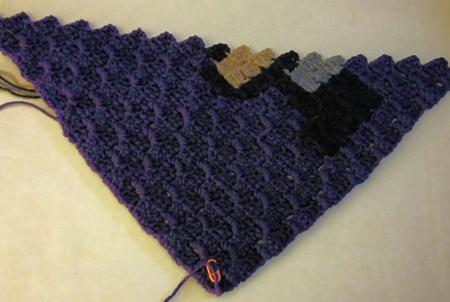 I am making this blanket using the C2C method mentioned in an earlier blog post. 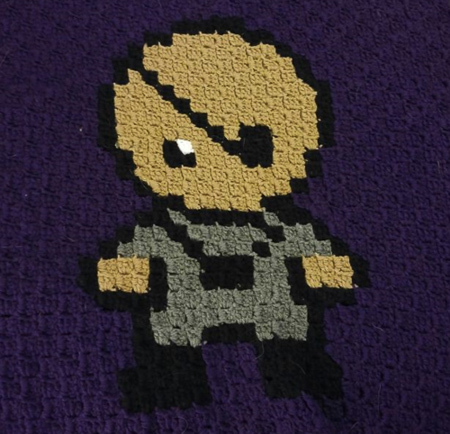 The original graph for Fury can be found on Facebook @ Jenna’s Crochet. 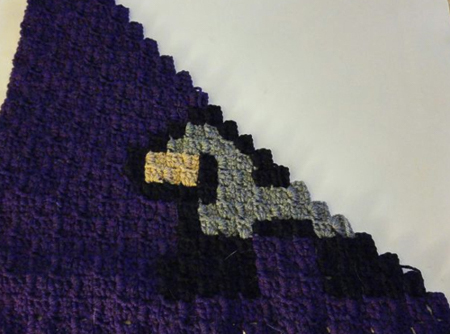 The purple color wasn’t as bad to work with as the black, but it was close. I recommend working on any dark colored backgrounds you may have during the day with natural light. 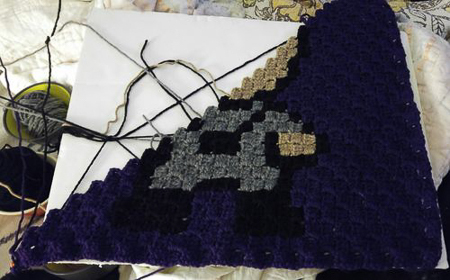 When I get halfway through a square, I get so excited because you can really see the character coming to life. You can see that all the hard work you are putting into the project taking shape. I know with each block that I complete, it will be one step closer to seeing my daughter’s face when she opens up her gift. A gift made especially for her and her passion for Avengers. Again, here is some of the craziness that goes along with a C2C project. Every once in a while I forget to rotate my bowls of yarn and this is what I will get. Now with Nick Fury completed, I am off to work on Captain America. 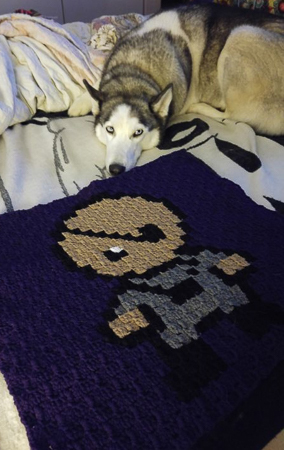 Here is the square next to my husky Liam. This should give you an idea of how big these squares really are in size. I hope you are enjoying this blanket as much as I am.